360 million people worldwide have disabling hearing loss. hearing loss may result from genetic causes, complications at birth, certain infectious diseases, chronic ear infections and exposure to excessive noise. 15.2 million Adults (6.3 percent experience some kind of cognitive disability. According to the CDC, one in six or about 15 percent of children aged 3 through 17 years have one or more developmental disabilities. 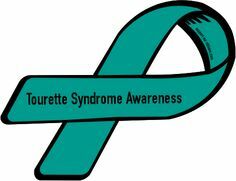 Is attributable to a mental or physical impairment or combination of mental and physical impairment. Reflects the individual’s need for a combination and sequence of special, interdisciplinary, or genetic services, individualized supports, or other forms of assistance that are of lifelong or extended duration and are individually planned and coordinated. Infants and children- An individual from birth to age 9, inclusive who has substantial developmental delay or specific congenital or acquired condition, may be considered to have a developmental disability without meeting 3 or more of the criteria described in clause 4. Test how much you know about developmental disabilities. 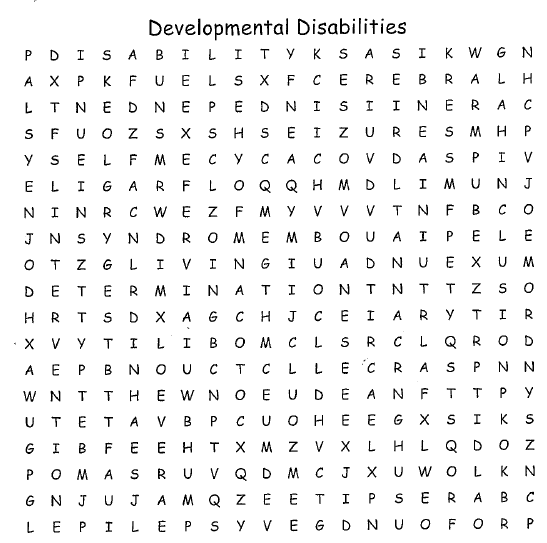 Click on the link below an print out the word search. March is National Professional Social Work Month! Kayli is Loving Life Trisomy Style! !